All the Children of God, formerly "Todos los Hijos de Dios," provides southeast Nebraska's growing immigrant population with spiritual and logistical support. The ministry offers participants the opportunity to gather in small groups and study scripture together. All the Children of God also has established partnerships allowing it to offer ESL courses to area residents. 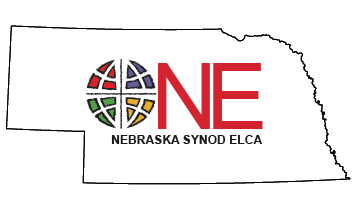 Seeking the Spirit Within is the Nebraska Synod’s response to an ever-increasing need for qualified individuals to help provide spiritual direction and lead spiritual retreats. Spiritual direction is an ancient form of strengthening and encouraging one another in our personal relationship with Jesus Christ. Spiritual direction seeks to attend to God’s activity in the lives of both director and directee. While recognizing and honoring the spiritual beliefs and practices or other faiths, Seeking the Spirit Within is a Christian-based approach to spiritual direction. The cafe’s goal is that everyone regardless of economic status deserves the chance to eat wonderful food while being treated with respect and dignity. Also, the cafe’s Restaurant Internship Program allows individuals to complete a two-week training course in restaurant work and then receive job placement assistance from cafe staff and volunteers. The Nebraska Synod ministers to newcomers through its support for The Welcome Center in Lexington. The Welcome Center is an ecumenical faith-based ministry operated by Lutheran Family Services of Nebraska that partners with others to provide assistance to newcomers in weaving through a complex system of laws within a spiritual setting, giving them hope for a positive start in a new country.